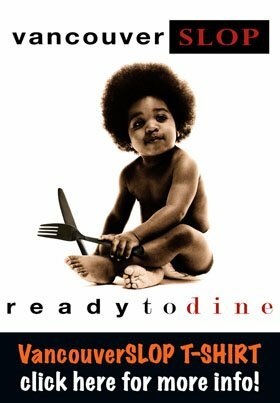 Those that have waited in line for brunch at Acme Cafe already know that space is limited. Though the desserts are made in house, there isn't the required space to bake the amount of bread that Acme serves on a daily basis, and as such they fly in their croissant dough from France, baking them on site. Butteriness: 3.5 out of 5. 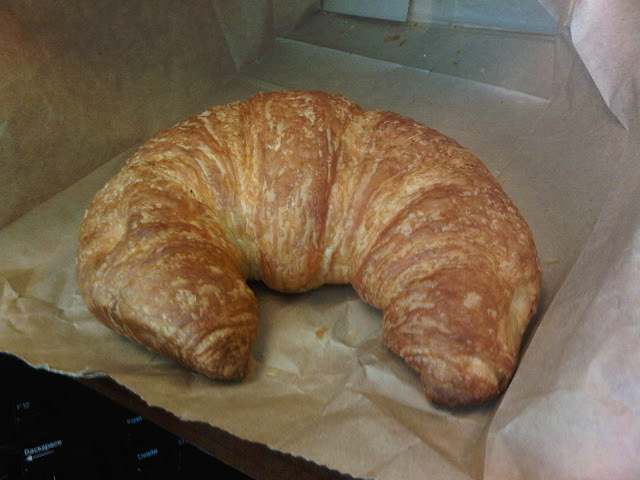 The Acme Cafe croissant has a solid dalliance with butter, but not quite as rich as other bakery croissants might be. This works largely to their advantage: Acme serves breakfast sandwiches on their croissant, and an overly buttery croissant wouldn't quite work. Long story short: it's functionally buttery. Flakiness: 4 out of 5. As its richer colour might imply, layers of crisp flakes break off with each bite, and a true croissant fan shouldn't be afraid of licking every crumb off the plate. Lightness: 3.5, maybe 3.75 out of 5. It's a light puff of dough, though for its size, a wee bit denser than one would expect. Two young kids are hunched over in an old mini school bus, parked at the northwest corner of the David Lam Park. One is presumably on Twitter - the new street vendors all seem adept at it - while the other presumably entertains, all while an electric oven warms the small metal container they've arrived in. It's an extremely tiny space, and one can only be mercifully sympathetic when the weather is hot. When the odd customer arrives, both jump to serve. Croissants are the raison d'etre at PanDa Fresh. 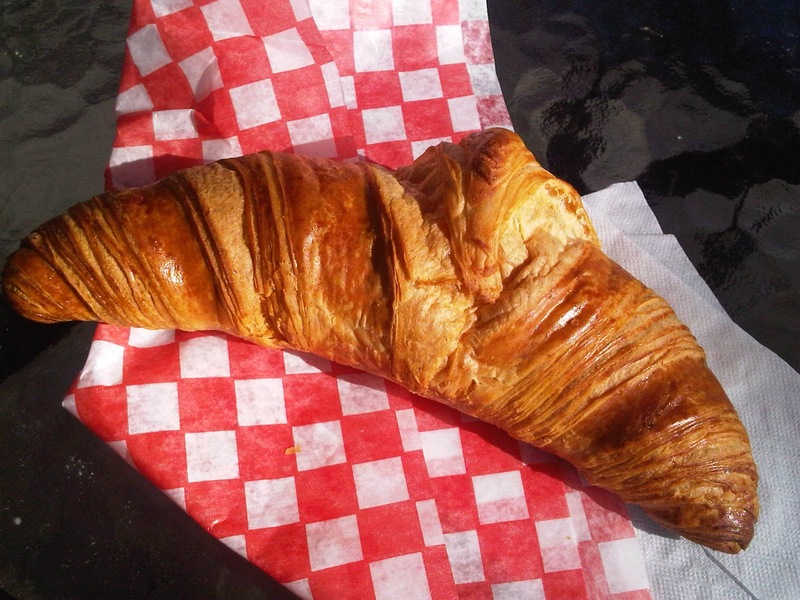 There are multiple versions to be had, with the plain butter croissant drowning in a sea of stuffed options (they are explained as being more like sandwiches than being truly stuffed with filling): savory, with seasonal versions such as turkey and mashed potato; and sweet, with ice cream being a recent option. Each starts with the frozen dough that is custom ordered - the two were hesitant to say from where - and then baked in the bus. In keeping with our challenge, we got the plain. Butteriness: 3 out of 5. At its price point, one would expect the croissant to be deliriously rich. 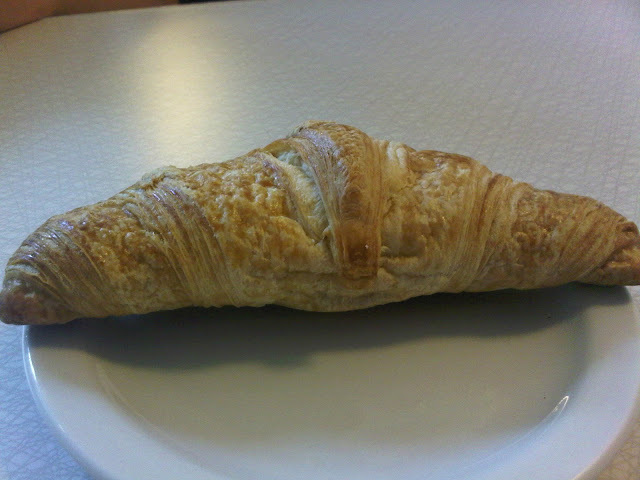 Not so with this croissant. Flakiness: 3.75 out of 5. It's flaky, alright, and when you're eating the croissant while walking down the street, it's downright unruly. With that said, I'm guessing the croissants sit in the oven until they're ordered, as the outer crust of the croissant can be overly dry (which is why I'm docking them 0.25 relative to Acme's). Lightness: 3.5 out of 5. It's light, though the ends tended to be overbaked every time we visited. will you / are you going to review the Thomas Haas croissants? Yes, we will - coming up this week, in fact! Joe -- your writing is always a delight to read. Will you review Quince? They have such lovely croissants. Am liking this post AND rating scale. since PanDa Fresh rolled up on my block, i think i've gained a good 10 pounds... the ones stuffed with ice cream are DELICIOUS! try the ones at PICA on granville island. best ive ever had. but go early cause they sell out fast.